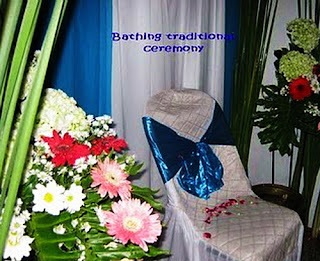 Siraman (bathing) is one of traditional ceremonies (in Sundanese and Javanase culture of Indonesia) that held before the wedding day. The main meaning is to cleanse the soul and body of would-become bride and groom; before marriage vows are said in the next day. It’s not a must-do ceremony, you may skip it. I just describe it a little here. 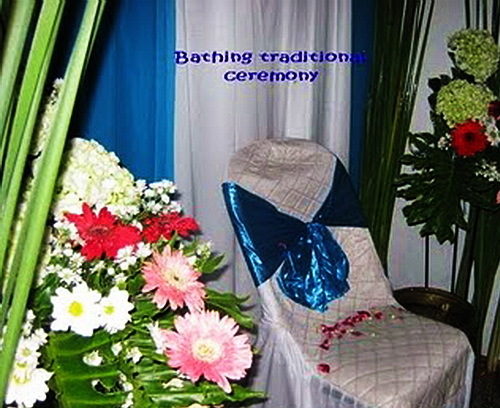 Siraman (bathing traditional ceremony) is usually held in the afternoon, in the bathroom or in the yard, at each house of parents’ bride. It’s very important to list seven people who will pour water to the bride/groom. Not only parents, it could be also close family and elder people in the family. 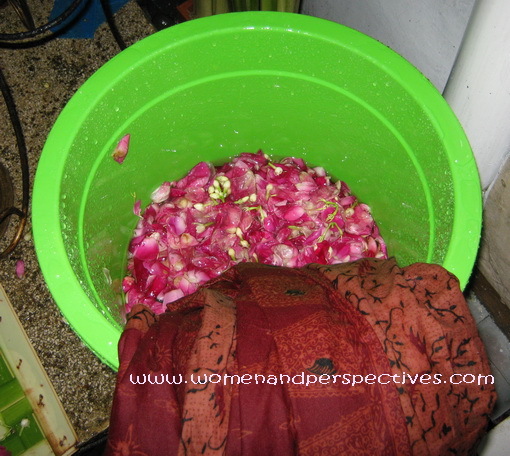 The water should be from the good nature water source and flowers such as roses and jasmines are blended into the water. I didn't capture the real moments since I came late to my aunt's house. hmmmm.. that's very interesting! and the set up is indeed very pretty.. Thank you for enlightening us about your customs. It is always good to hear of other's traditions. I have learned something new today, thank you for sharing such an interesting post, along with those beautiful flowers. 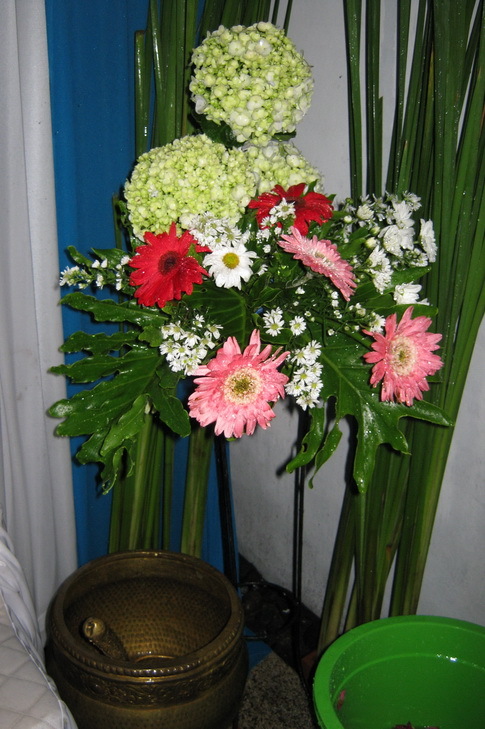 Wonderful tradition and beautiful flowers. What a lovely ceremony. The colours you have captured here show what a special ceremony it is. Learning is a life long experience and I have learnt something new today. Thanks for sharing and thanks for dropping by my log. I appreciate the Windows 8 information as well.